Sound designers use big collections of sounds, recorded themselves or bought from commercial library providers. They have to navigate through thousands of sounds in order to find a sound pertinent for a task. Metadata management software is used, but all annotations are text-based and added by hand and there is still no widely accepted vocabulary of terms that can be used for annotations. This introduces several metadata issues that make the search process complex, such as ambiguity, synonymy and relativity. 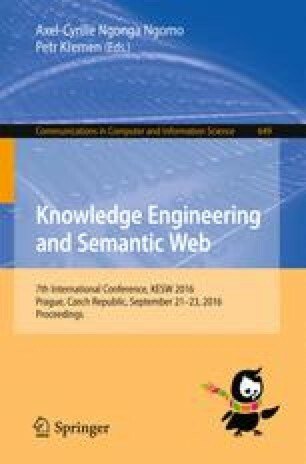 This paper addresses these problems with knowledge elicitation and sound design ontology engineering. We would like to express our thanks to sound designers Ivan Osipenko (Saber Interactive, St. Petersburg, Russia) and Axel Rohrbach (BOOM Library, Mainz, Germany) for the provided interviews and discussions on the sound design and metadata topics. We also thank anonymous reviewers for providing valuable comments on our work. This work has been partially financially supported by the Government of Russian Federation, Grant #074-U01.